Back in February – before the Atlanta Falcons officially signed Steven Jackson – I speculated what the running back would bring to Falcons passing game. While Michael Turner was a monster for the majority of his time in Atlanta, he was woefully inept as a pass catcher. In his five seasons with the Falcons, Turner totaled 59 receptions for 457 yards and one touchdown. Over the same five-season span, Jackson caught 217 passes for 1,738 yards and two touchdowns. 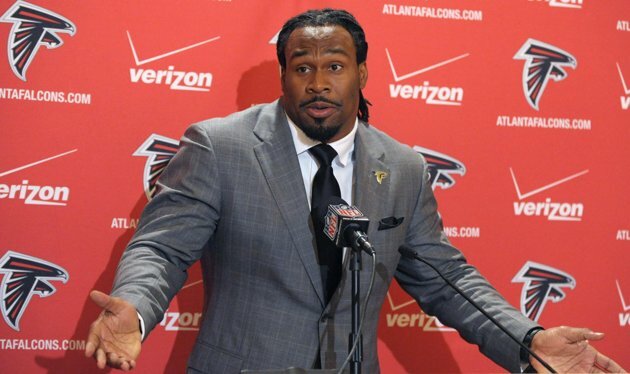 Whether you want to look at Smith’s quote, offensive coordinator Dirk Koetter’s penchant for using screen plays, or Jackson’s involvement with the passing game during his tenure with the St. Louis Rams, this much is certain: Steven Jackson will be featured heavily in the passing game with Atlanta. Pair Jackson with Jacquizz Rodgers and you’ve got a couple of running backs who should pose several problems out of the backfield for defenses, particularly when you factor in Tony Gonzalez, Julio Jones, and Roddy White. 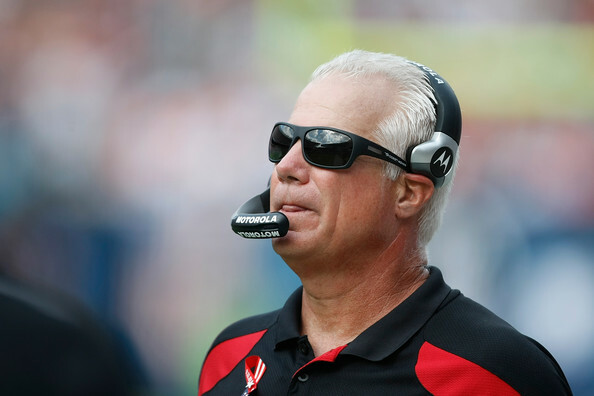 Atlanta Falcons head coach Mike Smith has been named Coach of the Year by Sporting News. It’s the third time Smith earned the award; he was also named Coach of the Year in 2008 and 2010. Smith coached the Falcons to a 13-3 record and a playoff win – the first since the 2004 season. Atlanta failed to make the Super Bowl, but that doesn’t take away from the job Smith did this year. Taking into consideration he had two new coordinators (offensive coordinator Dirk Koetter, defensive coordinator Mike Nolan), and the season is even more impressive. Over the past five seasons, Smith has racked up 56 wins to just 24 losses. That’s impressive anyway you slice it. Dave Caldwell should do well as the Jaguars’ general manager. 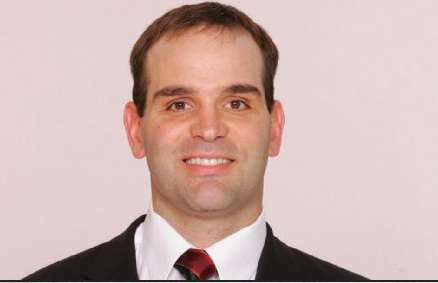 Atlanta Falcons director of player personnel Dave Caldwell will become the Jacksonville Jaguars’ new general manager. The two sides agreed to terms today. Caldwell, along with coaches Keith Armstrong, Dirk Koetter, and Mike Nolan all drew interest from other teams. It’s what happens when a franchise puts together a successful season. Like it has been since 2008 with the current regime, it’ll be the next man up to assume the vacated job. Atlanta Falcons offensive coordinator Dirk Koetter won’t be a head coach for at least another two years. Alex Marvez of Fox Sports is reporting the Falcons have signed Koetter to a two-year extension. That’s certainly a relief. Although I said losing Koetter wouldn’t be a tremendous blow for the Falcons’ talented offense, it’s nice to keep the same face around. Learning two different offenses in two years isn’t ideal for any team. Here’s to more success for Atlanta’s offense in the next couple of years. In addition to offensive coordinator Dirk Koetter, the Philadelphia Eagles are interviewing special teams coordinator Keith Armstrong and defensive coordinator Mike Nolan for their open head coach position on Wednesday. The Jacksonville Jaguars interviewed Atlanta’s director of player personnel David Caldwell. It’s really not surprising Atlanta’s coaches are getting lots of attention after putting together a 13-3 season. Their value will only rise if Atlanta wins a couple of playoff games. It would be a shame to see any of them leave, but if opportunity presents itself, it’s only natural these guys leap at it. The Atlanta Falcons’ decision to hire the former Jacksonville Jaguars offensive coordinator was questioned by many. Dirk Koetter’s offense was one of the league’s worst, but that was evidently in large part to the lack of talent. After turning the Falcons into one of the league’s best offenses and helping Matt Ryan turn in his best season to date, Koetter has become a hot commodity. The offensive coordinator is reportedly drawing interest from the Cleveland Browns, Kansas City Chiefs, and Philadelphia Eagles. Koetter is set to interview with the Chiefs on Tuesday. It would be a shame to see Koetter go. With that said, the Falcons have loads of talent on offense, and any decent coordinator should be able to come in and have success. Since Dirk Koetter was hired, there was speculation as to how running back Michael Turner would fit in the up-tempo offense. Turner, who is a power back, gets better the more he touches the ball. Under former offensive coordinator Mike Mularkey, Turner often received 20+ carries a game. This season, he has averaged 14 carries per game. Against the Oakland Raiders yesterday, Turner had 11 carries for just 33 yards. The running back’s concern is legitimate. The Falcons’ rushing offense is ranked 25th in the league, averaging 86.5 yards per game. On the season, Turner has 357 yards and three touchdowns. 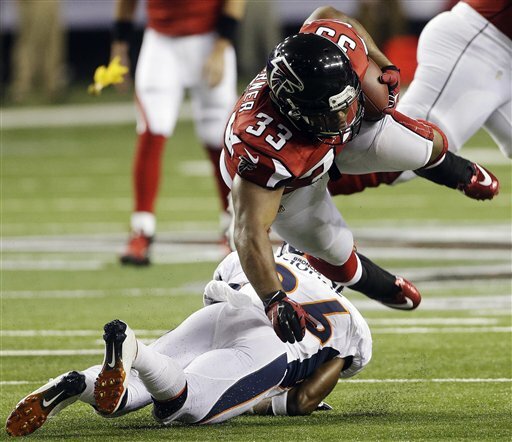 Let’s hope the Falcons remember how to run block during the bye week. With Lousaka Polite injured, running back Jason Snelling and backup center Joe Hawley have been taking snaps at fullback. It’s okay to throw Hawley in the fullback spot for extra beef in a heavy package. It is, however, NOT okay to actually pass to Hawley. On his first target, the backup center hit the ball in the air as if he were digging a volleyball. The Falcons were fortunate the ball wasn’t intercepted. To make matters worse, Ryan targeted Hawley again later in the game. This time, the ball just went through Hawley’s hands. There are ALWAYS better receiving options than a center. Always. Ryan: Hawley should never be a viable checkdown option, ever. 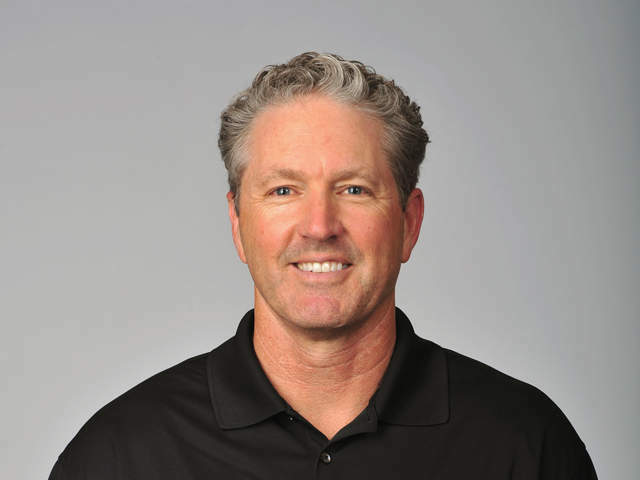 Dirk Koetter: rip that play out of your playbook.